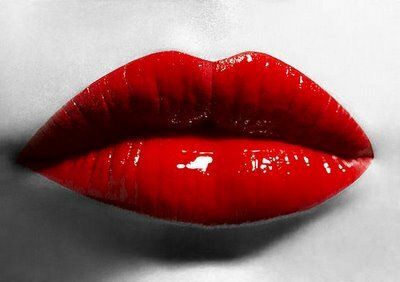 There is an art to wearing red lipstick! You can’t just slap some red lipstick on and walk out the door! Here are a few tips so that you can get that perfect red lip! 1. Make sure that the rest of your makeup is very subtle, light on the eye shadow and blush! I would also recommend not wearing any eyeliner; just a little mascara. 3. No lip liner unless you really know how to blend to where it looks natural but lip liner isn’t really necessary. It can end up dating the look if you don’t apply correctly! 5. Take your lip brush (must have) and apply lipstick to brush. Starting on the top lip, blend color on to lips following the natural shape of your lips. I would start out using a thin layer and then build the color until you get the redness that you want. 6. After you have finished applying your lipstick take a LITTLE gloss (clear or a reddish tint) and apply to the center of your bottom lip (thin layer of gloss) blot lips together to help spread gloss. 7. Take a wedged make-up sponge and clean up the edges of your lips. The sponge will act as an eraser to unwanted color. 8. Take a little concealer on a small brush and lightly go around the outer edge of your lips blending out. 9. Once you have concealed take another wedged make-up sponge and lightly apply powder on top of the concealer, this helps to create barrier so the color wont feather (run) & Viola you are finished! NOW YOU HAVE THE PERFECT RED LIP! *If you think that the color might be a little too strong, take a tissue and lay flat across your lips. Next, take your index finger and run over the tissue a few times to blot off some of the color. Apply a little more gloss to center of bottom lip if needed!